If you do what you’ve always done, you’ll get what you’ve always gotten. One of the oldest companies in the manufacturing of jeans and one of the first companies to make the blue jean was Levi Strauss & Co, founded in 1873 in California, United States. The story of the founder of the company Levi Strauss is full of innovation and creativity. He has been innovating with the clothing line from the beginning of the company. Levi was born in Bettelheim, Bavaria in the year 1829. After the death of his father, he moved to New York with his elder sisters. The two older brothers of Levi Strauss were into wholesale dry goods business. Levi Strauss soon began to get involved in the business. After learning the basics of trade, Levi moved to San Francisco at the age of 24 and established a wholesale dry goods business under his own name. 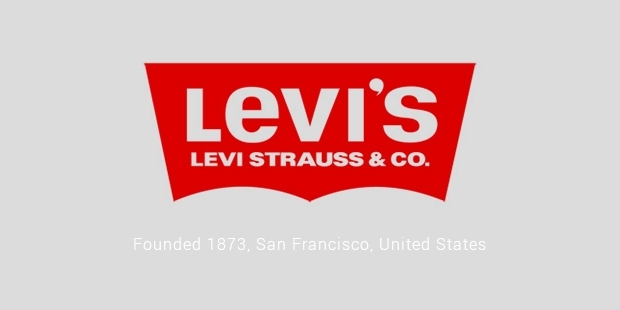 He renamed the company to Levi Strauss & Co. in the year 1863. In the year 1873, he signed a patent with one of his customers, Jacob Davis who had a unique idea to make pants for his customers. It was the birth of the blue jeans, one of the historic moments for America. With the launch of their first jeans, they got instant success. This was the time when both of them created the most popular apparel on the earth out of the normal denim. In the year 1890, Levi along with his nephews officially incorporated the company. After the death of Levi in the year 1902, his estate was distributed among his four nephews and the rest of the family members. The family members took over the business and the company is running successfully till date. Modern jeans began to appear in the 1920s and it was mostly popular among the working class in the United States. Between the years from the 1950s to 1980s, Levi‘s jeans became popular among the youth. The company still produces uniquely sized jeans and they are one of the best-selling products of the company. By the year 1990, the company saw a great success in the business. There was a craze for the blue colored jeans among all the age groups all over the world. From a very small merchant to the world’s most popular jeans manufacturer, Levi Strauss has reached the heights of success at a very young age. He got success very instantly. It was all because of his luck and the passion to do something innovative. Today, Levi Strauss is the leader in the apparel industry, stated by New York Times. The company is famous for taking the old recordings of popular musicians for their advertisements. Some of the notable examples include Percy Sledge, Ben E King, Eddie Cochran and many other popular names. Levi Strauss has around 10,500 employees all over the world. The company is popular for manufacturing jackets and work wear as well. Levi’s had also sued some popular names like Guess, Espirit Holdings and Lucky Brand Jeans.